Avez-vous faim? 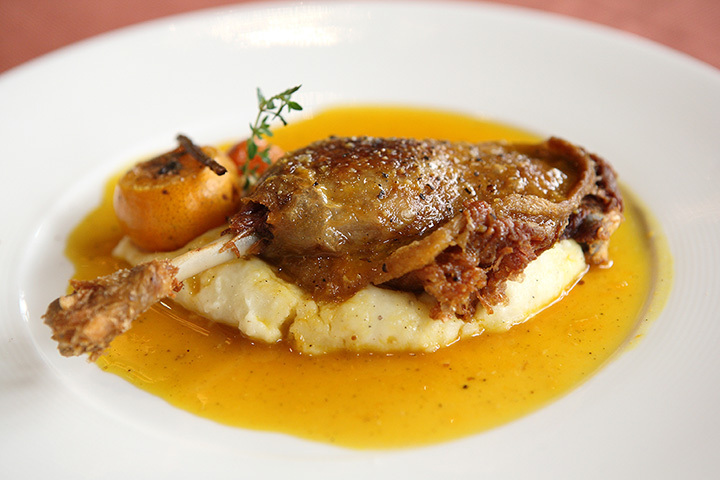 If you’re craving cuisine with a French flair, you don’t have to travel all the way to Paris to sample some of the finest flavors of France. Alabama knows how to do French food the right way—and no, we’re not just talking French fries, either. These four incredible French restaurants are serving up out-of-this-world meals, and you’ll be glad to pay them a visit! This sweet little French cafe deserves a spot on the streets of Paris itself, but luckily you’ll find it right here in Alabama. Serving up tarts, soups, dips, and artisan breads (baked at their French bakery next door), you won’t find a better selection of light French fare anywhere else in the city. The menu was crafted as a nod to the Nice region of France, so you can experience what the locals there indulge in every day. This high-end French classic is a favorite tradition for a night on the town. They offer a classic French menu filled with familiars like duck confit and pommes frites, along with a stunning selection of wine and craft cocktails. Local art and rich wood interiors create an atmosphere that complements any meal or occasion. This unique concept fuses French favorites with the American farm-to-table experience to create a stunning restaurant you’ll want to visit more than once. Contemporary digs offer a high-energy vibe, and the French- and Southern-infused menu will send your taste buds soaring. Open for lunch, dinner, and brunch, you’ll have every excuse to visit anytime. The exterior alone is a picture-perfect piece de resistance, setting the tone for what’s to come. The French/American menu has a heaping helping of Southern in their selections, offering unique combinations and locally sourced ingredients for a high-class experience. They also provide a full bar and private dining options.